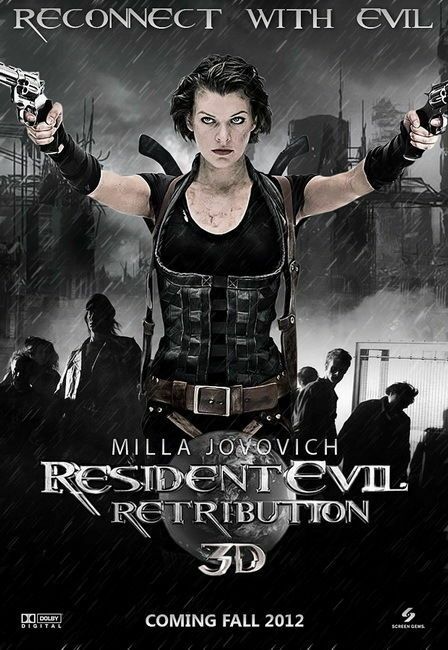 Story:- As Umbrella Corp.'s deadly T-virus continues to turn the world's population into legions of flesh-eating zombies, Alice (Milla Jovovich), the human race's last hope, awakes deep within Umbrella's secret operations facility. The further she delves into the complex, the more of her mysterious past is unveiled. Her global hunt for those responsible for the outbreak leads to a mind-blowing revelation; Aided by friends old and new, Alice fights to escape from a world on the edge of oblivion.